Red Berries are found east of the Varrock Stone Circle. You can pick Onions from the garden just north of Rimmington, and Woad Leaves can be bought from Wyson the Gardener in Falador for just 20gp for a set of 2. 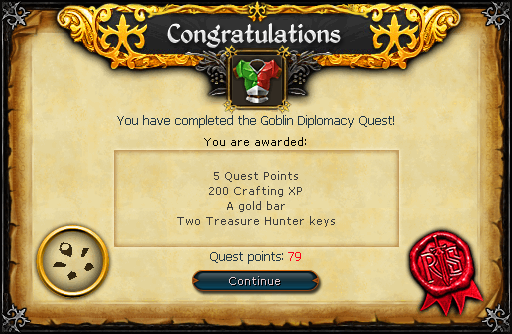 Once you've gotten the 3 dyes, go back to the Goblin Village and start killing Goblins to get a Goblin Mail. Of course, you may also buy the dyes from other players, or from the Grand Exchange. Still the Generals aren't satisfied and want to try a Brown Goblin Mail. 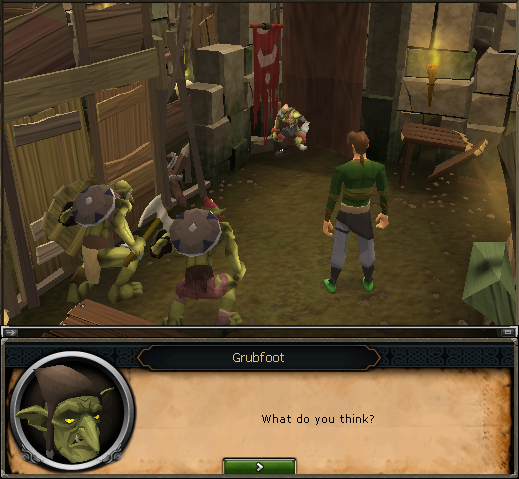 Brown is the default color of the goblin mail, so just use your last piece of goblin mail on one of the generals and once again a cut-scene of Grubfoot changing gear will be shown. After this, both Generals agree this is the best color.